It is a fact that buyers want to buy your home for as little as possible! By having up-to-date market comparisons between your home and recently sold homes on the market, along with a detailed market analysis of other properties currently listed, I can determine what your home is really worth in today's market. In the industry this is called a Comparative Market Analysis, or CMA. I will provide this for you, for free. 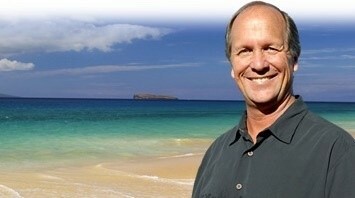 This way I can objectively determine - together with you - the current value of your house in the Maui real estate market. Buyers have their own timelines, which might not match yours! I qualify all potential buyers on their ability to purchase your home, and their timeframe to buy. If their timeframe for buying your home doesn’t match your timeframe for selling, I will make sure they do not waste your time. More buyers interested in your home means more money to you when it sells. My extensive marketing of your home assures you of maximum value. For example, this website will market your property all across the web. It will appear on Yahoo Real Estate, Microsoft MSN HomeAdvisor, and other top national sites. Within a few minutes, I can place your home on our website, and showcase your home as part of our site's Featured Listings. When I begin marketing your Maui home, I will immediately notify all buyers who I am already helping find their ideal home. I will also notify all the REALTORS® that I work with in these areas, who will quickly tell their homebuyers. It is a powerful way to jumpstart the process of marketing and selling your home! You and I will walk through your home, together. I will advise you how to present your property to maximize its selling price. Some improvements are worth it, and some are not! Be careful. Let my longstanding experience help you make smart and cost effective decisions. Contracts are complicated and intimidating. You don't want to go to a closing with some doubts. I will help you understand the myriad contract contingencies and all the details of the closing process. Again, I will handle all the paperwork for you. 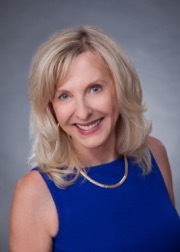 Essentially, my job is to help represent you throughout the entire selling process to ensure that your real estate transaction is a positive and profitable experience. As your realtor, I recommend that you only sign contracts with assurance that you are fully protected and understand what you are signing. It is reassuring to know that you do not pay any up-front costs for my services. You can be sure that I will work hard to get your home sold for as much as the market can bear. I will also work within your timeframe and strive to accommodate your needs. For example, it can be hard, even overwhelming, to coordinate both selling and moving out of your current home, and buying and moving into a new home, at the same time! I can help make this transition as smooth as possible for you. Call or email me. Sell Your Home with a Professional. Ask for a free In-Home Presentation. I am happy to come to your home and present you with a detailed marketing plan that shows you exactly how I will get your home sold! There is absolutely no obligation on your part, though I sincerely want you to take this opportunity to have an experienced realtor get you on the inside track. Feel free to ask any question about selling your home or property in the current market. Just let me know if you would like a FREE in-home presentation that can show you how I would market your property in Maui. Again, there is no obligation on your part. I promise to get back to you quickly! See my Seller's Guide to get your Free Home Evaluation, or contact us by phone to connect with Fred Haywood Realty.